What is the Rarest Ant species in the world? As we know ants was included into insects class, there's so many ant species in the world it's approximately 12.000 species are currently known (with upper estimates of about 22,000) You can check the ants species on this antbase.org. with that service you can check the ant species in every country in the world, The list contains at the moment records of type specimen, plus select specimen databases so far integrated. Ants have colonised almost every landmass on Earth. 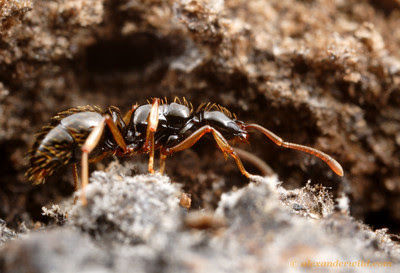 The only places lacking indigenous ants are Antarctica and a few remote or inhospitable islands. If you're interested in rare animals in the world so you can read our previous post about Rare Albino Crocodile. Honeypot Myrmecocystus Ants lives in dry climates, They should store food to survive longer than scarcity. 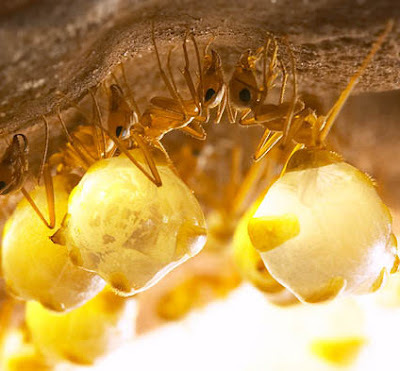 In the deserts of North America, Myrmecocystus honeypot ants use their bodies as containers of life, their bodies swollen karen liquid reserves, and brought to the nest mate. Their nests are found in a variety of arid or semi-arid environments. Some species live in extremely hot deserts, others reside in transitional habitats. 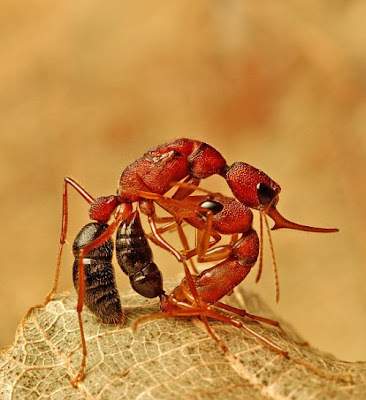 Between the peculiarities family of ant is a mystery Malagasy ants ants or known as Mystrium species, which is a predator of leaf trash rain forest dwellers. Thaumatomyrmex is a rarely encountered ants in Neotropical forests, they were a specialists predators on millipedes in the order Polyxenida. 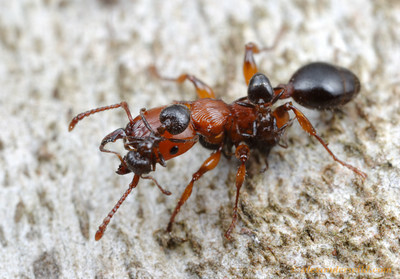 One of the rarest in the world of insects is Thaumatomyrmex, ant mandible tropical America. 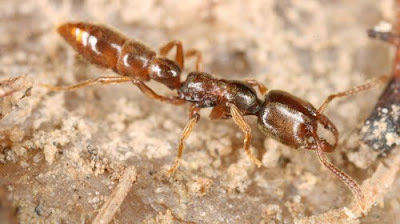 This ants species was also known as the rarest ants in north america, This species was really different with other species of the same genus, This species was relatively active only during the cool months of the year, it's still a mystery why this ants only active on the cool months of the year.